WestCoast Group is a fully integrated aquaculture enterprise operating in the state of Gujarat, on the west coast of India. Their presence in the region benefits a large number of people and businesses both economically and socially. The company is engaged in the business of shrimp hatcheries, shrimp farms, and seafood processing. It also engages in trading and distribution of shrimp feed and other aquaculture inputs, marketing and distribution of indigenous and imported frozen food products, e-commerce, supply to hotels, restaurants & caterers. Cambay Tiger, the company’s flagship brand, is the most popular shrimp brand in the country. For 20 years, the company’s hatcheries have been developing shrimp aquaculture clusters on the west coast of India. They pride themselves on using new technologies and establishing best practices to ensure a high quality, fully traceable product. Their focus on quality and leadership has helped them become one of the largest aquaculture businesses in India. ● How do you know how many shrimp you are growing and shipping? ● How can you tell if the post-larvae are healthy and of high quality? ● How can you make sure that your shipments are consistent? 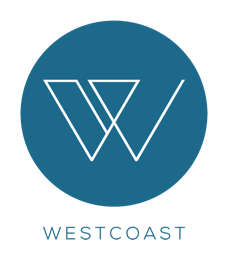 Using traditional methods, WestCoast was extrapolating manual count results to get an approximation of their production quantities and decide how many post-larvae to send to the farmers. But how can you sell something when you don’t know the exact amount? Because they did not know the exact amount of post-larvae, and because there was so much uncertainty in the counting process, WestCoast was giving extra post-larvae to their buyers to compensate and make sure the farmers were happy. It may come as a surprise, but it's quite common practice to include a 10-20% bonus with every shipment of post-larvae to help account for the inaccuracy of manual counting. Both hatchery and farmer are used to this practice–it’s just part of the transaction process. The problem is that without knowing the exact number of organisms you are selling or buying, every transaction is a gamble. It’s a lose-lose situation for the seller and the buyer when there is no transparency or accountability in the transaction. It relies on antiquated methods with serious margins of error, and it often causes frustration and conflict between businesses. It gets worse. Without knowing the accurate number of organisms that you own, it is likely that you will not feed them properly. On the one hand, if you don’t feed them enough, the larger post-larvae will eat the smaller ones, resulting in more losses and a lower rate of survival. On the other hand, if you overfeed them, you are literally throwing money way. Feed is costly: it can represent up to 40% of the expenses of a hatchery. On top of that, excess food pollutes the water, which can increase the risk of disease. There is a way to solve these problems: fast, accurate counting of post-larvae. That’s what caught Rahul’s eye when he first saw the XperCount in action. He was impressed by the speed and how easy it was for anyone at the hatchery to use. After a quick demo from the XpertSea team, he was convinced. The results have been impressive. Using automated counting, WestCoast was able to count more post-larvae faster and more accurately. That means that they could stop adding large arbitrary bonuses to their post-larvae shipments, and have more confidence in the product they sent to the farmers. And it came with a surprising side benefit. WestCoast used to need to send post-larvae samples to their laboratories where they would incur cost to have them sized and find the coefficient of variance, an important measure of health and uniformity in shrimp. But the XperCount measures the size of the post-larvae while it counts them, and reports the CV. All this ends up saving a lot of time and money, and Rahul couldn’t be happier.